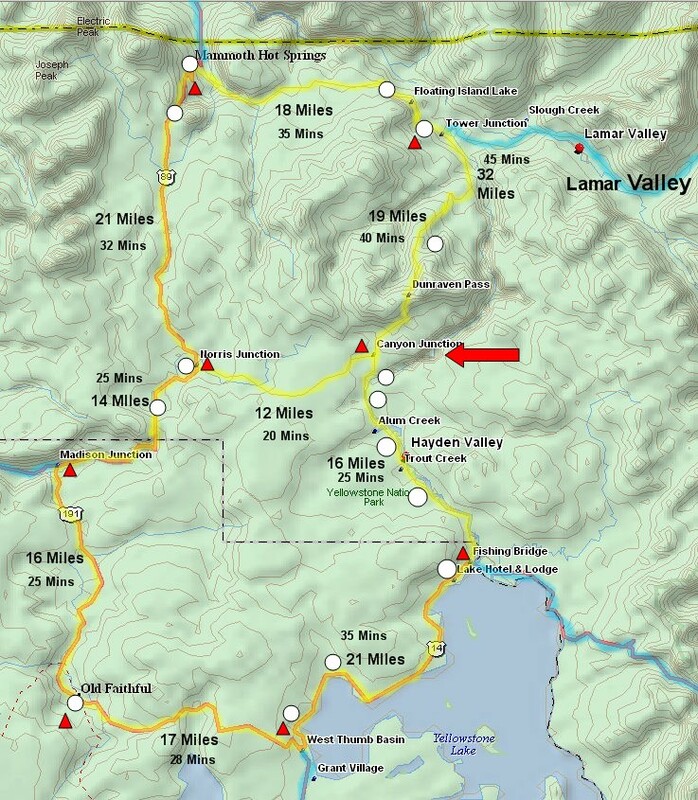 This map uses a red arrow to show the rough location of the Lower Falls. Its located near Canyon Junction in the area known as Artist's Point. Well marked from the road. The red triangles show the location of lodging. The white circles let you see either pictures or a map with more detail that also links to pictures. Click on them to see the pictures.